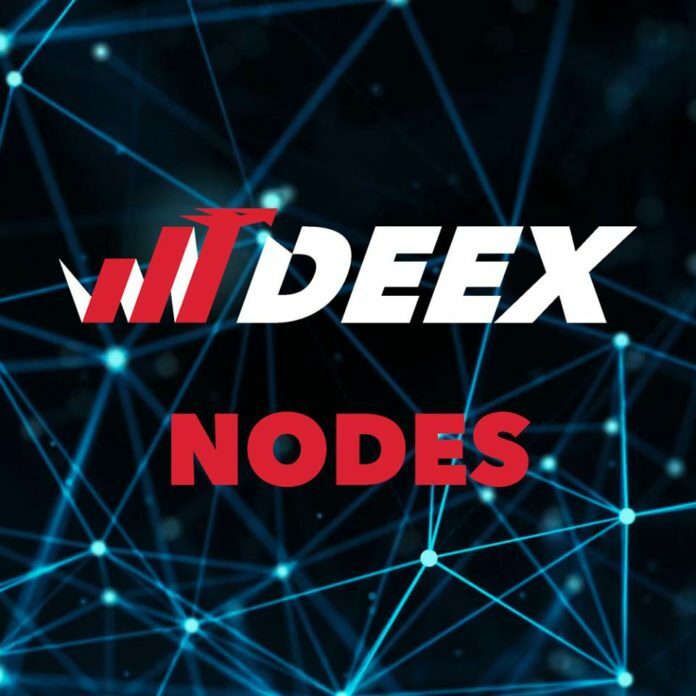 We are pleased to announce the launch of DEEX cloud nodes service. Nodes are one of the most important elements for any blockchain system and an excellent source of a passive income. Due to the large number of applications for nodes connection which we received earlier, in the next few days we will be carried out the connection for early nodes owners. The corresponding option will appear in the user’s dashboard and there will be given more detailed instructions for setting up and payments. For those who have made an application, we will connect the node and show it in the personal account. 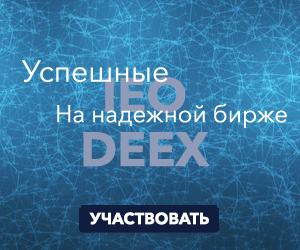 To launch the node you’ll need to replenish the deposit by transferring to a special address 100000 DEEX. Node is activated for a period of 1 (one) year with the possibility of extending its work in the future. The amount of remuneration is 20% per year. Thus, with a Deposit of 100000 tokens, a year later the user receives 20000 tokens, i.e. he will have 100000 (Deposit) + 20000 tokens. Users who have previously left a request for the node, must send to the account deex-nodes amount of 100000 DEEX. The translation should be done only after the node option is displayed in the personal account. If within a week the user does not confirm his / her ownership of the node by means of payment, the node will be released and put up for public sale. Next articleDEEX Node’s first owners are already got the income!